Picture Colm Mahady / Fennells – Copyright 2016 Fennell Photography. I’ve always loved children’s books and now, as a children’s author about to start writing my fourth book, I read more of it than ever. But I’m finding that even though I devour books at a phenomenal rate, the recommendations keep coming in and my TBR pile continues to grow. Every day I discover a new author or story I’ve yet to explore. I’m immersed in the world of children’s books and still I find it difficult to keep up; so how about the young readers out there? What support are they getting when it comes to making reading choices? And is it enough? Children’s literature – the entire range of books for young readers, from the youngest picture book to the oldest YA, including fiction, non-fiction and poetry – is growing every year. We’re living in a golden age for children’s books, with increasing demand. Reading is a vital part of a child’s development, impacting more than just the formative years; the books we read when young formulate future reading habits and lifelong attitudes. There’s no denying that reading for pleasure has a lifelong impact and yet, despite our awareness of this, research conducted by Imogen Russell Williams reveals; ‘children’s books typically get 3% of newspaper review space, despite accounting for over 30% of sales.’ I asked Hegarty, experienced as both a journalist and a children’s author, to share his opinion on why this current imbalance situation has arisen. As a result of this imbalance, a campaign called #CoverKidsBooks is now calling for answers and asking important questions. Started in the UK but gathering recognition on a more global scale, #CoverKidsBooks is a campaign that looks at the discrepancy between the number of children’s books published and purchased, and the amount of coverage received in the national press. The campaign takes a positive approach, celebrating the coverage received and calling for more. It’s all about readers and ensuring that as many young people as possible can find the books out there for them; not just the top sellers. Why Do We Need to #CoverKidsBooks? RTE2 Swipe Club – a great show in Ireland. More please! With more than 8000 children’s book published every year, bookshelves can be crowded and prove intimidating to parents unfamiliar with what’s there. In addition, teachers, librarians, and anyone involved in the care of children need help locating a wider range of books that can suit all their young readers’ needs. Hegarty explains how this can be done; “Through encouraging good journalists and critics to treat children’s culture seriously and to interrogate it as they might anything else. Through writing those pieces ourselves. Through talking about it with the passion and intelligence of the current campaign.” And yet, Hegarty also raises another important question. “We’ve got to ask, in the age of the internet, how important newspaper reviews really are. I’ll play devil’s advocate here. Do we want newspaper reviews because we think it’s a service to readers, or because having grown up with print as a measure of validation they make us feel better about ourselves? Do we want children’s books properly critiqued, or do we just want them to be “promoted”? To me, the answer is simple: the reason for seeking out coverage has to be about the reader. It has to be about giving children access to books and not seen as another marketing tool to boost book sales. It has to be honest, not bought. And the positive impact of #CoverKidsBooks so far shows that this can be done. How Successfully is Ireland Covering Kids Books? I have experienced first hand the excellent initiatives in place thanks to Children’s Books Ireland (@KidsBooksIrel), including the innovative SwipeTV children’s book club on RTE2, our national station. 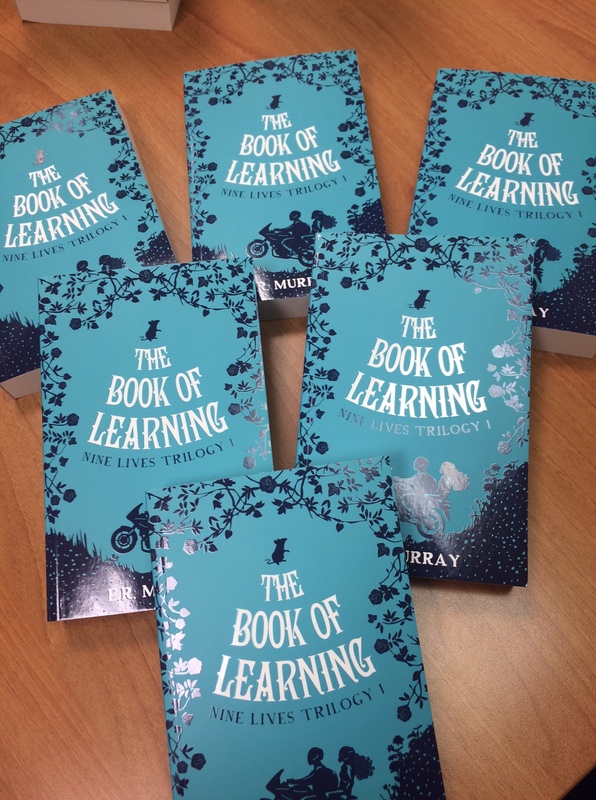 I was lucky enough to have The Book of Learning featured on April 20th episode, with live reviews from young readers – and I received a flurry of emails from children from all over the country during the week after it aired – so there’s no doubt in my mind that media coverage has a positive impact. Write,r Niamh Garvey (@msniamhgarvey), also gives a nod to the CBI publications. She says, “I love, love, love the Inis guide to kids books, it is great for introducing you to titles, all teachers should have it.” High praise indeed and very much deserved. It’s clear that we have a decent foundation, but of course, this is just the beginning. The fact that so many people are sitting up and taking notice of the #CoverKidsBooks campaign is proof that there’s room for improvement. As Sarah Webb says “In 20 years time I hope I’m still around to report the coverage of children’s books has improved from the green shoots of 2016. In short, writers, illustrators, publishers, agents, booksellers, librarians, teachers, families, bloggers, readers are all vital to the campaign’s success. This means everyone who cares about children’s books talking about them in a public forum, sharing knowledge and skills to help young readers gain access to the bigger, wider world of magical doorways/time machines/portals that are out there. You can read more about the #CoverKidsBooks campaign/research and follow the updates/get involved here. Libraries visited in February were the National Library of Ireland, Ballyfermot, Inchicore, Coolock, Ballymun, Ringsend, Rathmines, and Pearse St. Author and illustrator Oisin McGann did an illustration workshop in the Hugh Lane Gallery based on The Book of Learning, and I heard that it was fabulous (not that I expected anything less). In addition, we had a lovely event in Waterways Ireland Visitor Centre where two groups of sodden children arrived through the doors on a wild, wet day, and listened to some readings of equally wild and windy sea scenes (thanks go to Ifty Finn for organising). Our book trail and Illustration session in the National Library of Ireland also had a great turn out. Part of The Book of Learning is set in this iconic building, so we purposely scheduled the event out of hours so the kids could hear a piece read in the stunning Reading Room (they’d usually be too young). The idea worked; the tiny desks and vast, domed room created the perfect backdrop -so, huge thanks go to Brid O’Sullivan for making that happen! Amazingly, some of the attendees had been to a previous UNESCO Citywide Read event and wanted to come again! How lovely is that? A few of the wonderful surprises I received this time include a massive group hug, a pitch perfect David Attenborough impression (I was asked what I’d like to be reincarnated as, and I chose Mr Attenborough, of course!) and some rat jokes. There are still a few events coming up in March, including an open event in Cabra Library (March 8th at 3.30pm) and a really special event as part of the Big Day Out St Patrick’s Festival on March 20th, when a Georgian building on Merrion Square will be transformed into 23 Mercury Lane from my book! 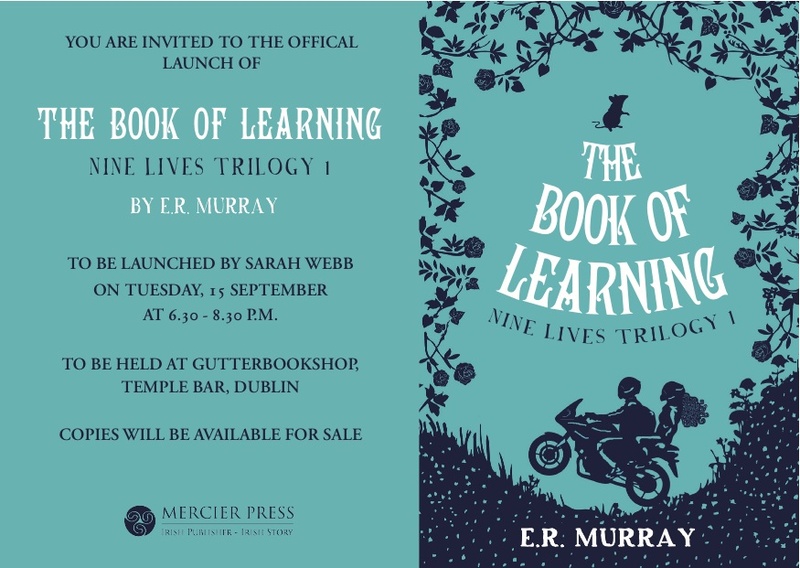 Check out www.dublincityofliterature.ie for more details and I hope to see you there! 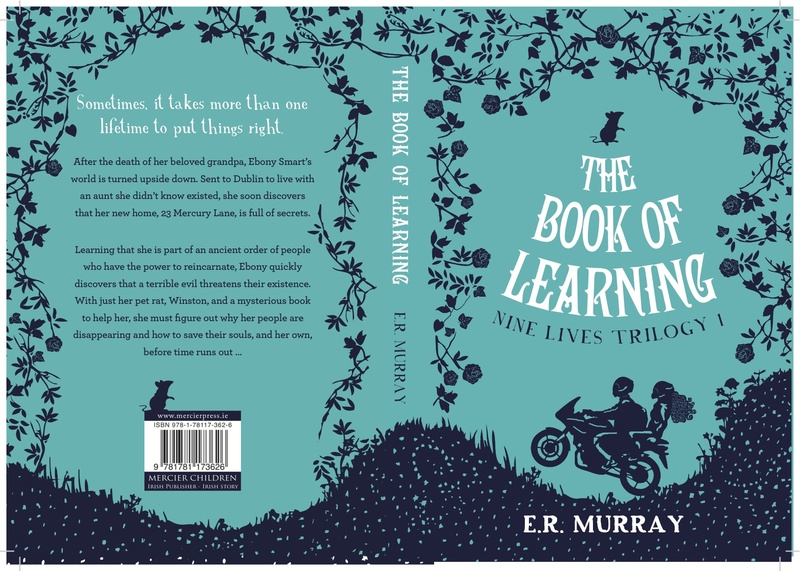 Being a debut author has been crazily exciting so far, and now I have some incredible news to share… The Book of Learning is the chosen book for the 2016 Citywide Reading for Children campaign. The Citywide Read is run by Dublin UNESCO City of Literature and Dublin City Council’s Libraries Service, in partnership with Mercier Press and runs from January to March 2016. Children encouraged to read for fun + visit libraries = a very happy author!!! !